with exceptional grapes sourced from California’s wine country. The mission of Illanta Wines is to craft superb wines while positively impacting Lake Tahoe’s local environment and community. After a day of adventuring, we invite you to enjoy a glass of wine with a spirit that runs deep. 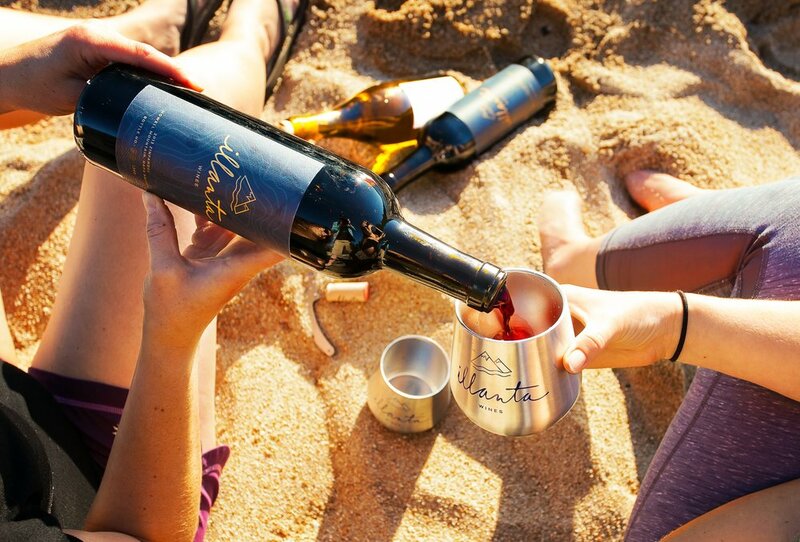 Founded by two friends who share a passion for strong community and great wine, Illanta Wines is the inspiration of Jessica Stanley and Allison Yonto. Illanta started as an idea between friends: What if we made a wine that not only delivered distinctive taste but also gave back to the community that’s given us so much? Jessica and Allison moved to California’s Lake Tahoe area and met each other through a mutual love of outdoor adventures and gatherings abundant with close friends, quality food, and great wine. They decided to take a leap and bring their passions together by launching Illanta Wines in a place nobody expected a wine label to take shape: in the heart of the Sierra Nevada. They enlisted the help of experienced winemaker Eric Hansen, sourced high-quality grapes from California’s nearby wine country, and together, they released their first bottles of Illanta Wines in 2016. From our home base amongst the high peaks and majestic emerald waters of Lake Tahoe, we bring you exclusive, small batch wines produced from grapes sourced from Napa, Sonoma, and Santa Barbara’s Santa Rita Hills. As an “Urban” Winery we have the flexibility to source grapes for the appellations where each varietal grows best, setting up the perfect foundation for high quality wine, and allowing us to work with farmers and growers using sustainable, environmentally-sound farming practices to create each vintage. The name Illanta stems from our founder’s Italian heritage. Co-founder Allison Yonto’s great grandfather, who immigrated to the U.S. from Italy, had the family’s last name changed when he arrived in the States. It was originally Illanta (pronounced ‘Yahn-Ta’). Her grandfather shared with her family the value of hardwork, positivity, and gratitude. Both Jessica and Allison see aspects of Italy in their adopted home in Tahoe: It’s a place where the community gathers to relish close friends, beautiful surroundings, and the many tastes of life. 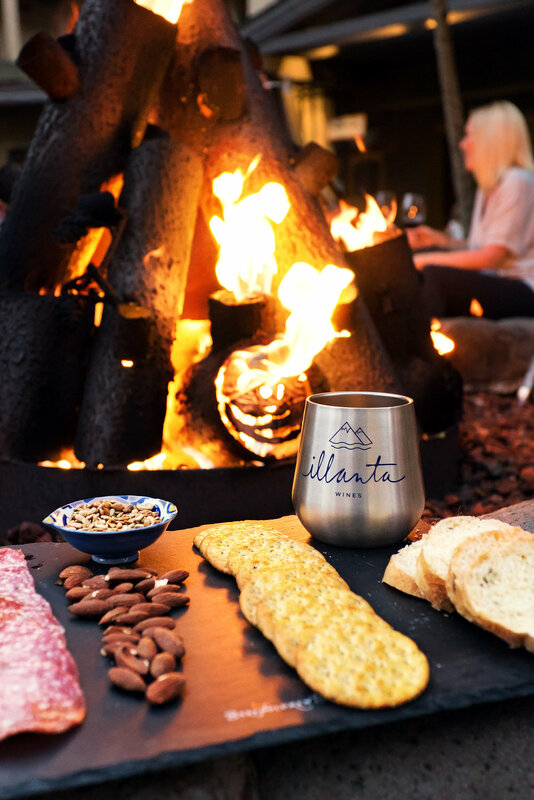 In addition to on our website, Illanta Wines are available at the Uncorked Wine Bars in Truckee, Squaw Valley, & Tahoe City and the Tahoe House Bakery & Gourmet in Tahoe City. Our 2014 Zinfandel was harvested from the Grist Vineyard in Dry Creek Valley of Sonoma. Grapes were cold soaked, fermented, and barreled down in a mix of new and used French oak barrels. Our dark garnet Zinfandel is a polished blend of blackberry and black cherry flavors with nuances of vanilla and dark chocolate. It’s silky in texture while full bodied and persistent in flavor. California’s Dry Creek Valley is known for its quality grapes and sustainable practices, so it was an obvious choice for our 2015 Zinfandel. Produced at Grist Vineyard, a certified organic vineyard since 2003 that sits above the fog line west of Healdsburg in its own unique microclimate, this Zinfandel has aromas of black cherry, currant, and juicy blackberry, with hints of chocolate and toasted baking spices. You’ll sip it around the table with friends or on a picnic blanket under the stars. Our fruit forward 2015 Chardonnay is sourced from the cool, coastal vineyards of the Santa Rita Hills in Santa Barbara. Aged in neutral French oak barrels, the wine takes on subtle characteristics from the oak while retaining a bright finish. Fragrant aromas of tropical fruit, citrus, and vanilla delight the nose and vibrant ripe apple and pineapple flavors create a wine with silky texture and nice energy. The crisp acid provides balance within the rich palate. Our first vintage of Sauvignon Blanc uses organic grapes sourced from Morgaen Lee Vineyard in Napa Valley’s Yountville AVA. It has balanced flavors of tropical fruits, mineral essences and herbaceous notes. Crisp and elegant, it fills the senses with melon, guava, citrus blossom and a touch of freshly mown grass before the first sip. With a mouth-filling, bright acidity, it delivers a clean, soft finish and tastes of grapefruit, stone fruit and a hint of baking spice. The Passholder Program is our exclusive Wine Club designed to allow Illanta Wines’ supporters first access to our new vintages, before they’re available to the public. Our production is limited, only 25 cases of each wine produced, but by joining the Passholder Program, you’ll be able to secure wines before they sell out. Every time a new wine is ready for sale you will receive your selected bottle allocation (1, 2, 6 or 12 bottles) either via shipment or for pick up at the winery. We expect to have 2 to 4 varietals released per year. Each shipment is based on the retail price of the bottles in the shipment, with a 10% discount for 1-6 packs and 20% discounts for a case. You’ll also receive our quarterly newsletter with seasonal growing and harvest highlights, upcoming area event information, and news about the charitable organizations you’re helping to support. 2019 Summer Release Party - details coming soon! Illanta Wines is proud to support several non-profits through our participation in events throughout the area. Illanta has participated in events with proceeds to: Achieve Tahoe (leading the way in adaptive sports and recreation for people with disabilities), Can Do MS (providing innovative lifestyle empowerment programs for people living with MS and their support partners) and the Tahoe Food Hub (galvanizing the North Lake Tahoe community to build a regional, sustainable and equitable food system). When Tahoe City local, Allison Yonto, drafted a business plan for a college assignment during her time at Sonoma State University, she didn't anticipate it reaching beyond the classroom. The coined "Farm-to-Table" event has gained popularity recently, but just how much of what's on the table actually came from the farm? TAHOE CITY, Calif. — Illanta Wines (pronounced ‘Yahn-Ta’), a new boutique wine brand based in North Lake Tahoe, officially launched for business this spring with the debut of its first vintage. Illanta Wines (pronounced ‘Yahn-Ta’), a new, boutique wine brand based in North Lake Tahoe, officially launched for business this spring with the debut of their first vintage. Illanta Wines (pronounced yahn-ta), a new, boutique wine brand based in North Lake Tahoe, launched this spring with the debut of its first vintage, a 2013 Zinfandel harvested from Napa’s Howell Mountain.